The recent scandal involving Bishop Eddie Long and four young men who claim they were coerced into a sexual relationship with him has troubled my heart. However, as heartbreaking as this issue is, it sounds familiar. Over the past couple of years the body of Christ has been riddled with a number of Abuse of Power cases. I don’t ask this question to suggest that the alleged victims are somehow at fault, but to point out the high level of biblical illiteracy in Body of Christ. This is something that I’ve noticed over my life spent in church. It still amazes me that Christians don’t know that statement like “When the praises go up, the blessings come down” and “God helps those who help themselves” are not in the Bible. Recently, a survey by Pew Forum on Religion & Public Life showed that the Mormons polled knew more about Christianity than Protestant Christians did (read the whole article here). This poll produced similar results as others conducted in the past. Christians don’t seem to know what’s in their Bibles. And because they don’t know what’s there, they don’t know how to apply the Word to their lives. Many Christians can quote a scripture and even have an emotional response to it but not have the truth written in their hearts through study and experience. In the case with Bishop Long, the question arises “Who is at fault?” And the same question can be asked concerning the lack of biblical literacy. Who is to blame for this lack of scriptural understanding? 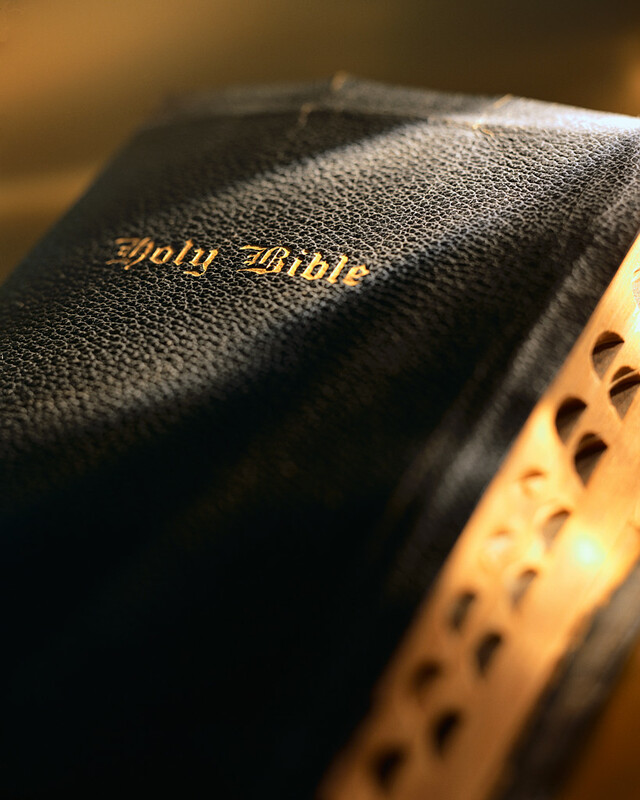 Is it the pastors and church leadership and their lack of biblical instruction? Or maybe the ordinary Christian who refuses to apply the Word to his or her live? Before we even address these questions, something else had to be addressed first: the habit of finger pointing. I’m sure it would be easy for lay members to point the finger at leadership and say “You didn’t teach us.” And it would be easy for church leadership to point their fingers at the pew and say “You didn’t learn.” I believe a more effective way is that each person should examine him or herself. Each of us should look at our own hearts to determine how we have contributed to the problem. In essence, this will answer the question of biblical illiteracy. There is enough blame to spread around. If you are a leader, you add to the problem each time you teach something that is not biblically based, not matter how inspirational it sounds. As a lay person, each time you fail to study your Bible on your own and live according to the principals there, you add to the problem, too. Each of these actions creates an open door for deception to creep among our ranks. And when one member of the Body hurts, we all hurt. Biblical literacy prevents deception in the church. When we understand that we have the Holy Spirit, the Spirit of Truth, we understand that we will sense when someone teaches something other than the inspired word of God. Whether it is our best friend or a church bishop, the Holy Spirit gives us discernment. More than that, when we have the Word in our hearts and the Holy Spirit has illuminated that Word, it becomes a standard by which to compare other doctrines against. I am saddened by the fact that the Body of Christ is facing yet another scandal supposedly involving an abuse of scripture. But can we prevent the next scandal by understanding and applying what the Words says? Can we curb deception by teaching the Bible, learning the truth of the Word and living as biblically informed people? That’s a question only you and I can answer. I think everything about this case is a tragedy. I'm not sure that biblical illiteracy had anything to do with Bishop Long's behavior. I think that he knew exactly what he wanted to do and did to those young men. I understand that everybody is innocent until proven guilty but from the allegations and other information that's been made public so far, I don't think that it is looking too good for Bishop Long. I became a Christian in early 2009but have always found the level of hypocrisy among Christian's to be very disturbing. Unfortunately, I don't think that it is a stereotype. I agree that the whole case is troubling. I cannot comment on the motive behind Bishop Long's behavior. I can say that in the 29 years since I accepted Christ, I've seen many deceived by leaders abusing scripture. It is difficult to watch hypocrisy among Christians, but it helps me to remember that Jesus faced the same issue in his day. I don’t think that we will experience life without hypocrisy until heaven. The best thing we can do is continue to live circumspectly and pray for others. We must live circumspectly and pray for others. All allegations against him aside, to make such comments is really appalling and shameful. Anyhow, I really enjoy reading your blog and hope you will continue to write regularly. I forgt to post my name, it's Ron.